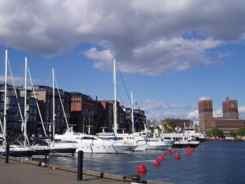 Oslo is one of those European capitals that is just far enough away that it may take you a while to visit it. ...Well from the European capitals popular with tour groups and tourists. It takes most people a couple of trips before they get to the Nordic cities. But you see, Norway's capital called to me because Grampa was from Norway. The city's fjord gives it a beautiful backdrop. But that doesn't mean you should leave it off your travel wish list. Stroll beside the fjord, then get out on it, and you'll soon think it's worth the splurge. 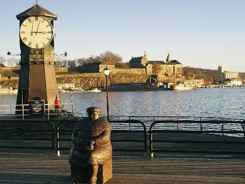 This castle complex overlooking the Olsofjorden is an important and beloved symbol of medieval Oslo. It was originally built in 1300 as a fortress and royal residence. After a fire, it was rebuilt in 1527 as a royal Renaissance palace. It's not the King's residence now, but it is still used for state occasions. Tours are available in many languages including English. 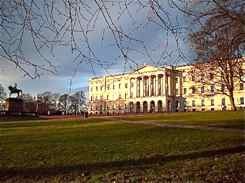 But, for a look at where the current King and Queen live, visit Det Norske Kongehus. This palace is open to visitors only on occasion, and tickets must be purchased in advance. Stroll the Slottsparken, the castle park, and take in the afternoon changing of the guard. When the King is in residence, the Royal Guard band adds music to the pageant. A stroll in the park won't cost you anything. You need to save every penny you can in Norway! Nestled among university buildings is the National Gallery. There is Norwegian and European art here, but what everyone wants to see is "The Scream" by Edvard Munch. See the Radhuset, the City Hall, for more paintings and sculptures. Take the T-Bane (the Metro) or a tram to Vigelandsparken, the sculpture park which contains the life's work of Norway's revered sculptor Gustav Vigeland. 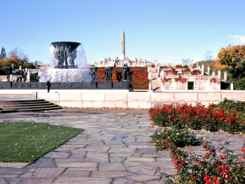 It's in Frogner Park which is beautiful all by itself. Explore more of Norway's Viking history by taking a ferry to Bygdøy Island. You can see the Vikingskiphuset, The Viking Ship Museum. It contains three of the best preserved Viking ships. They were burial ships which were excavated from the Oslofjorden, and they are now exhibited in a specially built hall. In a building nearby see the "Kon-Tiki", the balsa raft that Thor Heyerdahl sailed on. For more sea-faring history see the "Fram", the polar vessel that was used by the famed polar explorer Amundsen. The ship ventured father north and south an any other ship before it. Also on Bygdoy is the Norsk Folkemuseum - The Norwegian Folk Museum. It's an open air museum with buildings moved here from all over Norway. Some are old wooden buildings from medieval times. 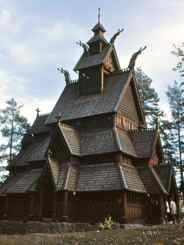 There is even an old Stave Church. This far north, you'll have the most sunlight for exploring in the summer when the day almost never ends. Walk and take public transportation to save money. By your beer at a grocery store and picnic in one of those great parks. Check out the Oslo Pass. A pass for 24, 48 or 72 hours covers your admission to museums and public transportation. You can get the pass at tourists offices, at City Hall, the Central Station, or the cruise ship terminal. Strike out like the Vikings did and explore... I have a feeling Oslo will conquer your heart.